What is Frame Straightening? Is It Safe? Is It Necessary? You’ve just been involved in a front-end collision. The fenders on your vehicle are crumpled up and the radiator made its way to your engine. What you are left with are two metal beams protruding out of your car. After a collision like this, most insurance companies are going to total your car. Still, you might be interested in frame straightening to repair it. While it’s not always going to be a good solution, there are times when it’s appropriate. Is it safe to drive my car with frame damage? What does it cost to repair my car with frame damage? Should I fix my car once it has frame damage? In this article, we hope to answer all of those questions for you. From figuring out if frame straightening is the right process for you to whether it’s time to junk your car, we hope to bring you closer to a solution. What is a Frame Damaged Car? 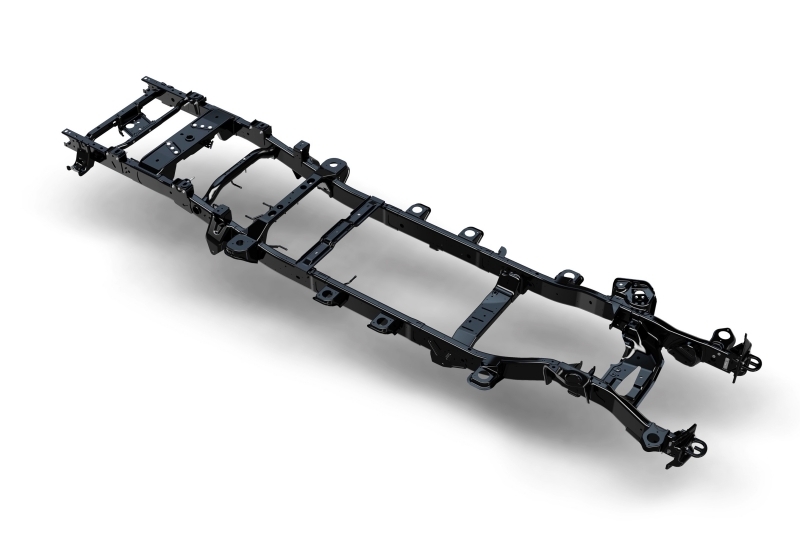 Under all the parts and components that make up your car, you have structural support known as the frame. It’s there to provide strength and stability, especially during an accident. Whenever the integrity of this system is compromised, it’s referred to as “Frame Damage.” While this is a broad term that can relate to any part of the frame, it’s never a good thing to hear. What Different Types of Frames Exist? 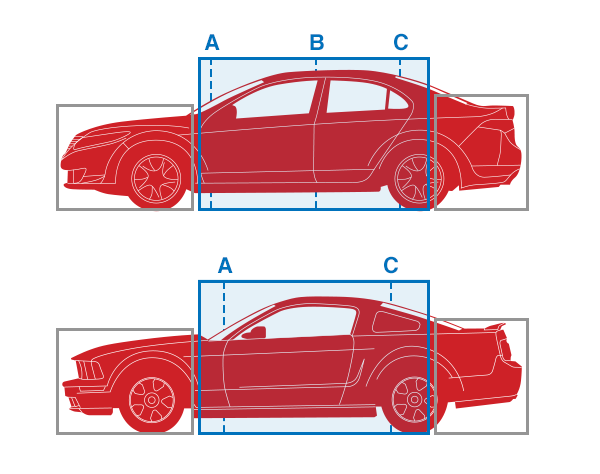 All cars don’t feature the same type of frame. Manufacturers produce varying designs with the most common being unibody and ladder frames. This is a common vehicle frame. It merely means that the body of your car and the frame are one piece. If you damage this frame, you likely have a bent frame which causes your car not to drive straight. This frame will undoubtedly be weakened where it was damaged if you choose to make repairs. This is an older design that is still used on most trucks today. It offers more strength and higher resistance than the unibody frame. This setup consists of two symmetrical rails that run the length of the car. Then, they are connected together with cross members. Before we dive too deep into whether you should have frame straightening performed, it’s essential that you understand a few more terms. These vertical supports are located across the car from the front to the back. Some vehicles feature a D-pillar as well, like minivans. This refers to the inner fender sections of your car with two sides. It extends out from your core support and makes its way to the strut tower. This is sometimes called a radiator support. It’s the section of your frame that is found in the front of your car. It can often be damaged and replaced independently from the rest of the frame. This separates the engine bay from the cockpit. This combines with the front rails, strut tower, apron and core support to create the unibody design. This metal sheet gets welded across the cross members. It ends up being the floor of your car. It also features some holes and grooves to house the electric wiring and drivetrain. This is a metal sheet that fits the rear panels on either side of your vehicle. These are part of the wheel well and often house the gas cap. Some cars, like a Corvette, feature a design that’s made from carbon fiber or fiberglass instead of metal or aluminum. This is found to the rear of your car’s frame. It features the unirails, the rear bumper support, plus a floorboard where you house the spare tire. You will find this between the wheels, below the doors. They are on both sides and support the doors. Each vehicle features four of these in the corners of the car. They align your vehicle’s suspension and are part of the rear quarter panel and front apron, respectively. These two symmetrical beams are found at the front and back of your car. They are considered to be one of the stronger parts of your frame and serve as a foundation for other components that will be welded onto the rails. Will a Car with Frame Damage Be Unsafe to Drive? 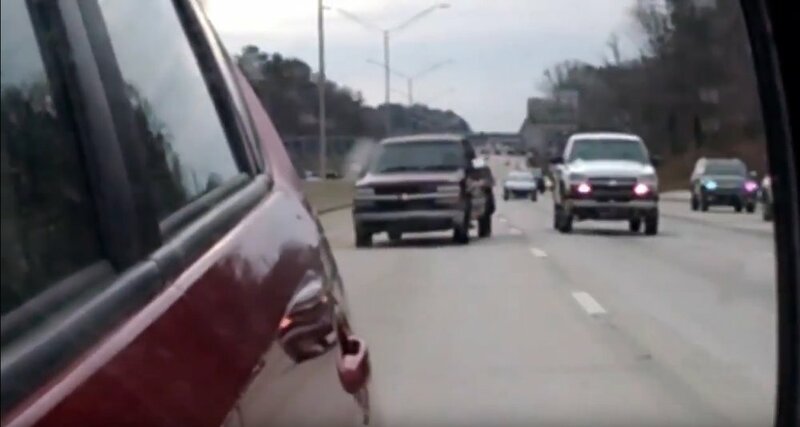 You may remember driving behind a vehicle that you swore was moving sideways! Its front wheels were out of line with the rear, and the whole car appeared to be twisted. That’s called crab walking or dog tracking: it’s a scary sight, and it’s a clear sign of prior frame damage. Just because your car sustained frame damage doesn’t necessarily make it unsafe to drive. If your vehicle has four aligned wheels and can travel straight without an issue, it should be safe to drive. The more important question might be: is it going to be safe in a collision? If you have a small dent in one of your rear quarter panels and nothing happened to your crumple zone, it’s likely that the rest of your frame is fine. In most cases you could drive this car safely after normal repairs were made. Once your car is involved in a significant collision resulting in crushed crumple zones or a bent frame, frame straightening may be necessary. This process involves extensive cutting, welding, and aligning by trained professionals using specialized equipment. Even after this process, the car might not be as safe as it once was. If you were to crush a soda can and then attempt to stretch it back out, would it be just as strong? Probably not. Sure, it might look the same, but that can is going to crush much easier the second time than it did the first. It’s the same with your car’s frame. You can pay to have the frame repaired, but your car likely won’t ever be as safe as it was in its original condition. Sometimes it’s best just to junk the car or sell it for parts, and sometimes your insurance company will even make that decision for you. Junk Title and Salvage Title: What's the Difference? Did insurance junk your car? Want to buy a wrecked car? Know the difference between a junk title and a salvage title. Many auto body shops have a frame machine. A frame straightening machine holds your car, truck or SUV and consists of upright towers that rotate 360-degrees to work on parts of your frame. Modern devices utilize sonic senders or computerized lasers to assess the structure beyond what the naked eye can see. The mechanic attaches chains to the points of the frame where straightening is needed. Then, the hydraulic equipment increases tension on these chains to pull the frame back into shape. The mechanic may cut, weld, and shape the frame to help it align. This process is performed until the frame reaches the automaker’s specifications to ensure the vehicle drives appropriately. While frame straightening won’t leave you with a car that’s as strong as it once was, many people still choose to move forward with it. If you are going to use frame straightening on your vehicle, it’s imperative that you make sure the auto shop has the necessary tools. You want to choose a mechanic that’s going to effectively restore the bent frame to factory specifications. Anything more than a minor dent shouldn’t be repaired at home, but instead you should allow the professionals to do what they’re best at: getting you back on the road safely. Older PostWhat is a Lienholder? How Do They Affect a Car Title?